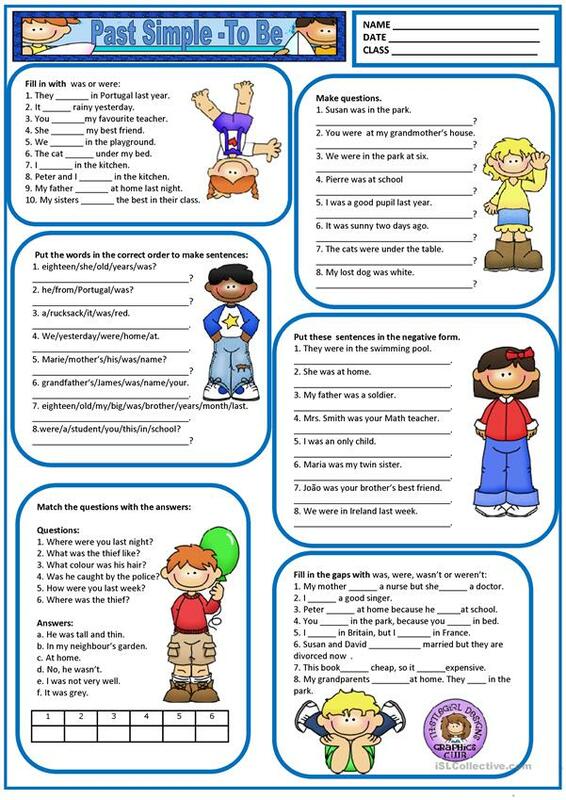 It's a worksheet to practise or revise the past simple of the verb to be. This downloadable teaching material is intended for high school students and elementary school students at Elementary (A1) and Pre-intermediate (A2) level. It is aimed at practising BE (auxiliary verb) in English, and is a valuable material for enhancing your groups' Spelling, Reading and Writing skills. I used to be an English teacher, but I am retired now.